Lincoln Fencing Club would like to thank Joba Chamberlain’s Dream 62 Foundation for making the new Joba Chamberlain Lincoln Wheelchair Fencing Program possible. Thanks to the Dream 62 Foundation’s support, we have already acquired the necessary equipment and renovated to provide an accessible restroom. 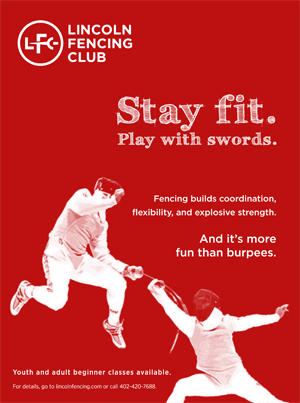 LFC aims to provide a safe, family-centered, personally challenging fencing program, and thanks to Joba and his foundation, we are excited to have the opportunity to expand this mission to include athletes with limited mobility. Click here for more information about Joba Chamberlain’s Dream 62 Foundation.